Spondi restaurant has its home in Pagrati for 20 years now. I was a guest at their 20th birthday but given the opportunity I would certainly visit in any occasion, celebratory or not. Last Tuesday I was a guest to a very special anniversary. 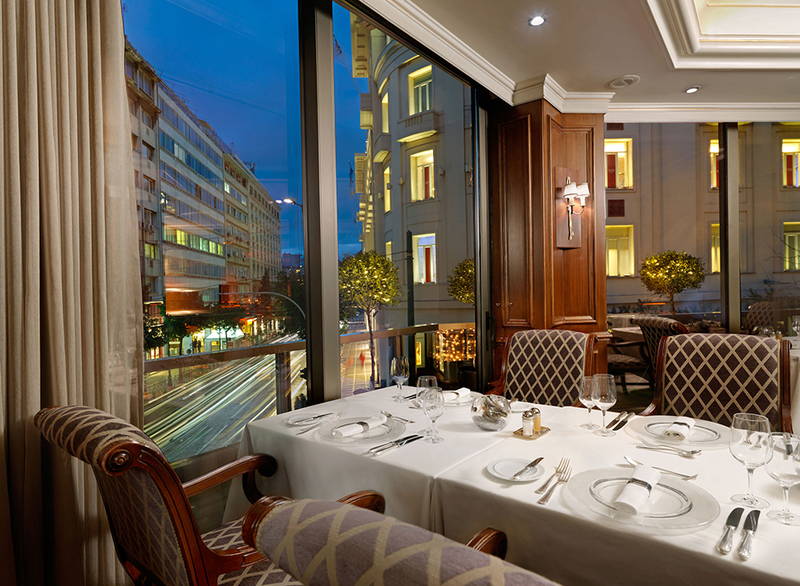 Executive Chef Nikos Giannopoulos celebrated 25 years of flavours at the Parliament, the restaurant at Athens Plaza hotel. It was a journey of flavour, marking every year with a very special dish. I took this photo on one of the many outings to my local haunt, a tiny street-corner cafe. It’s an old house turned coffee shop, or kafeneio. In the proper Greek fashion they serve coffee in the mornings, but come lunch the kitchen opens, offering some of the most delicious traditional dishes like ntolmadakia, tiropitakia, seafood nibbles and grills – you name it – until late into the evening.